Transporting tourists and locals amongst the labyrinth waterways, these historic boats have captured the hearts of romantics and dreamers alike. The lyrical lilting of the water underneath the elegant gondola and the picture perfect cityscape make for a wonderful way to tour a beautiful Italian city. But, when visiting Venice on an Italian holiday, it’s far too easy to take the gondola for granted. After all, it’s a means of travel. 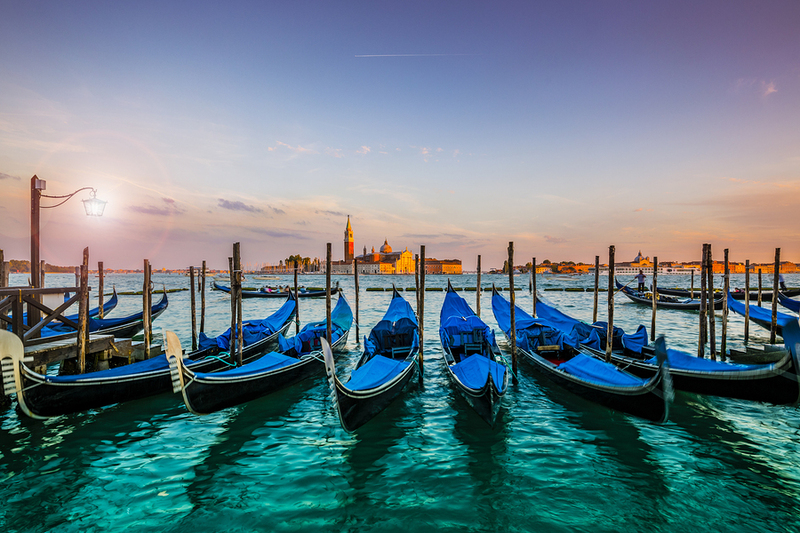 Yet, there’s something magical, something fantastic about the simplicity of the gondola, especially if you are lucky enough to take a private gondola tour in Venice. To understand how amazing it is, however, you have to know its story. Here’s Avventure Bellissime’s history of the famous Gondola, a truly Italian boat. The history of the gondola is something of a mystery. Lost to the recesses of time, and argued over by scholars, no one can quite pin point exactly when the first gondola floated along a Venetian canal. Some say it was in 697, others much later, suggesting 1094 as the year of the gondola’s origin. No one can quite agree on the ancestry of the word either, with Greece, Malta, and Turkey vying for the right to say that they named the gondola first. Whatever its origins, the gondola has come to be emblematic of Venice. In the time it has graced the city’s waterways, it has changed and adapted. In the beginning, the gondola was designed with the Venetian lagoon in mind, but the shallow-drafted vessel evolved as the city grew. You can explore some of the history of Venice in our original walking tour complete with gondola ride! To slip easily between the towering Venetian buildings, and to cruise leisurely past the historic buildings and landmarks, the gondola shrank in its design. By the 15th century, the gondola had acquired a ‘feize’ or cabin. Gondoliers became so enamoured with their boats that they festooned and decorated them. But, in 1562, as these embellishments became increasingly extravagant, the authorities banned all ostentation of any kind. Since that time, gondolas have been a uniform black. But boat-builders were allowed some creative licence. Gondolas are decorated with a curly tail, a pair of seahorses, and a multi-pronged ferro (prow). These touches have created the modern gondola that has become so synonymous with the Venice that we all love today. The prow of a gondola may have five or six prongs. Some people suggest that the six prongs symbolise the six districts of the city of Venice, but no one knows for sure. The aft-facing prow may stand in for Cyprus, Doge’s Palace, or Piazza San Marco. And the broad edged blade that sits atop the ferro may be a nod to the sea, the Rialto Bridge, or even a Venetian halberd. The ferro itself may be a throwback to Roman galleys, and some historians even suggest that it might represent the funerary barges of ancient Egypt. So, the next time you’re drifting leisurely along Venice’s Grand Canal, watching the world go by, remember: a gondola is a piece of history, a story frequently untold. Those silent black vessels, sailing in droves, steered by skilful gondoliers are something special indeed. Don’t take them for granted, take a moment, and savour that connection to an Italian city and its mementos from the past. We’d be delighted to find you the best Venice boat tour so you can experience the romance of a gondola ride yourself. Get in touch and we’ll be happy to help you book an Italian holiday package you’ll remember for years to come.